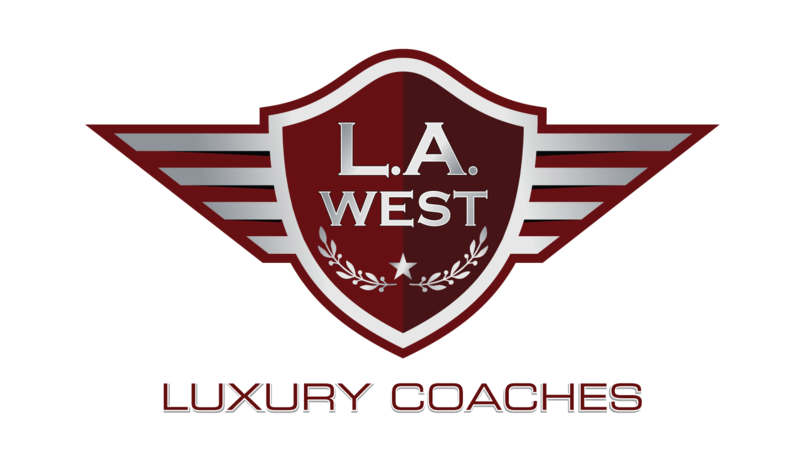 Statesville, N.C. — Luxury coach builder L.A. West has announced that the first vehicle has rolled off their assembly line since their brand was relaunched this year. The custom Mercedes-Benz Sprinter was delivered to Nations Bus Sales’ Florida Dealership in St Augustine. The company’s CEO, Chip Osborne, was present for the vehicle’s unveiling. L to R: Nation’s Bus CEO Chip Osborne with L.A. West’s Founder Vern Kauffman, Business Manager Paula Sterling, and Vice President of Sales Kevin Kropf as the first Sprinter comes off the builder’s production line. 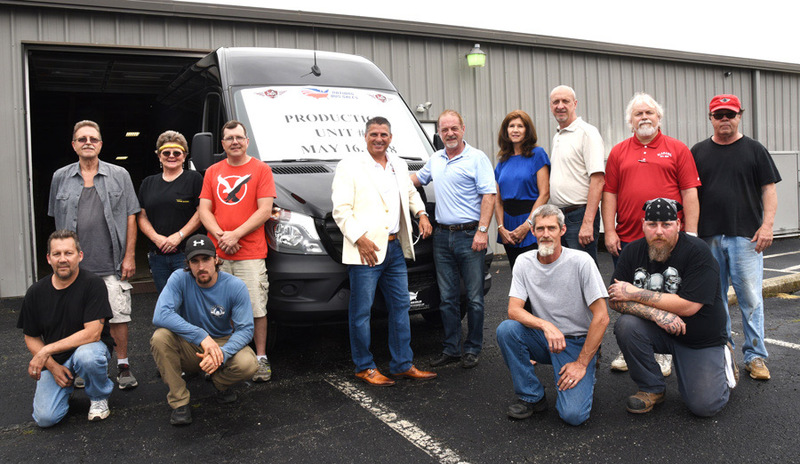 When McSweeney Designs left the luxury ground transportation industry to focus on its core market in performance trucks, Kauffman acquired the inventory, equipment, engineering rights, and warranties from the company. He then revived the L.A. West brand that was dormant since he sold the company to a VC firm in 2005. Kauffman then relocated the McSweeney Designs operation from Birmingham, Ala. to Statesville, N.C.
Those making the drive to join Kauffman at L.A. West are Mark Isbell, purchasing manager; Dennis Treadwell, production manager; and Pete Price, line foreman; and Kevin Kropf, vice president of sales, who is a stakeholder in the company. 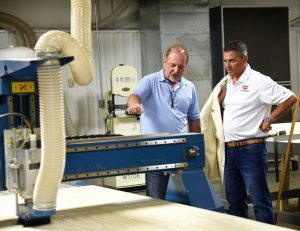 Founder Vern Kauffman (left) gives Chip Osborne of Nation’s Bus a tour of L.A. West’s new production facility. In the coming weeks, L.A. West will be introducing a Ford Transit with a European portal door. Kauffman says that the vehicle is the final stages of the engineering phase and will be introduced in June.